The J715’s crown is only 0.5 millimeters at its thinnest and features springlike ribs on the interior that company officials say can increase ball speeds by 2 mph and launch angle by as much as 2 degrees at Tour-level swing speeds. A process called “power milling” creates a rougher clubface so that the ball doesn’t roll up the face as much as it normally would and thus stays there longer. The combination reduces spin by up to 350 rpm at higher launch angles (12.5°) and by 200 rpm at lower launch angles (10.5°) for a longer, more penetrating flight. Two removable weights in the sole—one behind the center of the face and the other more rearward and heel-biased—are used to alter the club’s center of gravity (CG). 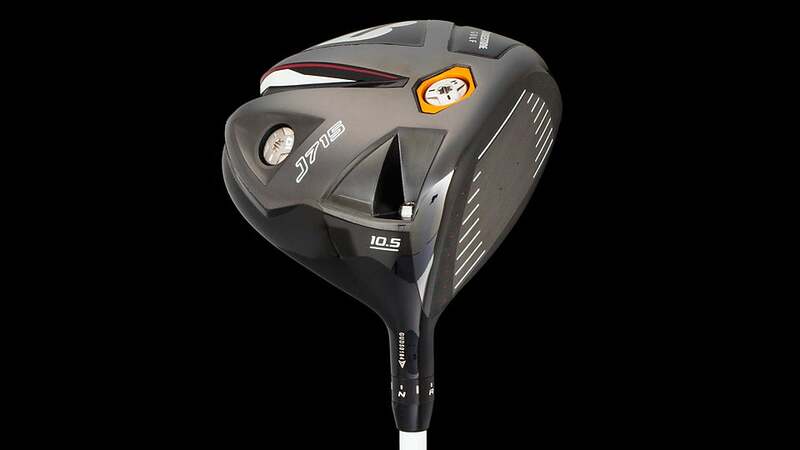 From the factory, the J715 driver comes with a 10-gram weight in back and a 4-gram weight in front, but flipping them will lower launch angle by as much as 0.75° and decrease spin by up to 200 rpm. A weight kit ($80) sold separately includes 2-, 4-, 6-, 8-, 10- and 12- gram plugs for more customization. The club’s hosel offers further adjustability, allowing face-angle changes from 1° open to 1° closed, as well as lie angles from standard to 2° upright. Lofts: 8.5°, 9.5°, 10.5°, 12°. $399. Available February 1.